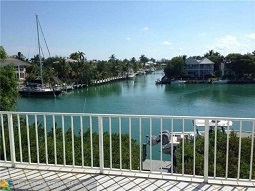 Property Details: 3BR, 2 BA Beach Home with 2200+ sq. ft. The islands of Marathon in the Florida Keys offers a tropical getaway everyone in the family will enjoy - the nautical atmosphere comes with a variety of family-friendly events and outdoor attractions. Marathon activities include dolphin swims, snorkeling, fishing, and boating. Popular seafood festivals are scheduled throughout the year, and there is no shortage of local restaurants featuring fresh seafood specialties. Marathon visitors can go fishing at the pristine Sombrero Beach - or go hiking at Crane Point, which features a tropical forest, bird-rescue center and natural history museum. Marathon is comprised of 13 islands, well known for their beaches and barrier reef. Discover Loggerhead turtles nesting at Coco Plum Beach and Sombrero Beach, explore Curry Hammock State Park, with its' sandy shoreline and mangrove creek, the Dolphin Research Center in Marathon offers interactive demos in a shallow lagoon.